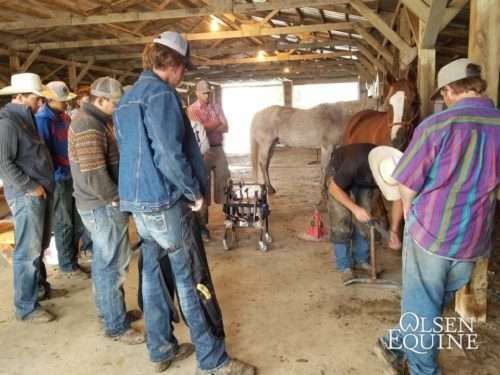 What I enjoy the most about teaching shoeing clinics is how it changes lives forever. Knowing what to look for in a trim or shoeing and be able to recognize early warning signs that can cause serious soundness problems. Having the ability to replace lost shoes or trim in emergency situations. There are a lot of people that would be completely shut down if they lost a shoe. If they had the knowledge of how to put it back on, they would be back in business in minutes! What will I gain from a clinic? A foundation of knowledge about how the hoof functions is vital. Taking time to focus on basic anatomy and conformity provide a solid basis for growth as new skills and abilities are gained. Implement knowledge with hands-on skill building as you learn in community with others. Each day there are many opportunities to put into practice and sharpen trimming and shoeing skills. Teaching and farriery are both passions of Lee’s. If you come to learn you will not be disappointed! Satisfaction Guaranteed! Each clinic is limited to ten people, in order to maximize one-on-one mentorship. 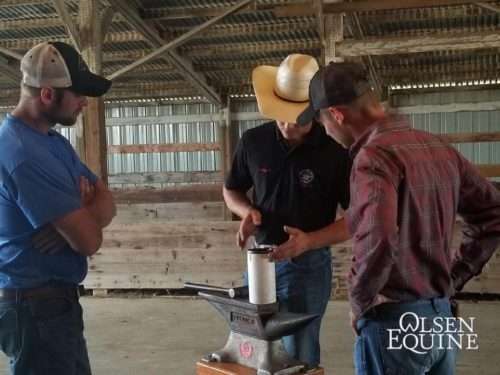 Whether as a horse owner or developing farrier, there is no better time to invest in your hoof care skills than the present. We are here throughout your training to help maximize your training for long-term dividends. A Farrier you can trust. Subscribe to receive regular emails packed with hoof care tips, information, and news.